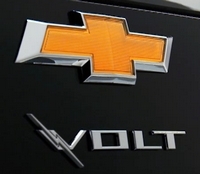 GM wins rights to web site about Chevy Volt. Last year I wrote about GM-Volt.com, a site that was getting over 75,000 visits a month. I warned that using trademarks in your domain name — even as a fan site — is treacherous ground. Indeed, GM just won a case brought before the World Intellectual Property Forum for the domain name ChevyVolt.org. …the website is not limited to discussions and/or forums about the Chevy Volt. If a visitor to the website clicked on the heading/category “Electric Cars”, the visitor would have access to articles and information regarding the “Nissan Leaf”, “Tesla Roadster” and the “Toyota Rav4EV”. One would not expect to see a competitor’s products discussed in a favorable light on a “fan site”, the purpose of which is to promote one particular product and/or brand. Operating a fan site has not generally been regarded as a “legitimate interest” under the Policy. Most of the content on GM-Volt.com is related to the Volt electric car. But some of the forum posts are not. And the ads on the site are for competitors. I’m currently seeing Adsense ads for “Ford Electric Cars” and Tesla. It’s likely that GM will leave GM-Volt.com alone. Still, I recommend against using a trademark in your domain name, even for a fan site. GM-Volt.com Getting Lots of Traffic, But is the Site Owner at Risk?